Not Fit For Thick Dual-Layer Defender Case on. Befor purchasing ,please check your phone case thickness first. 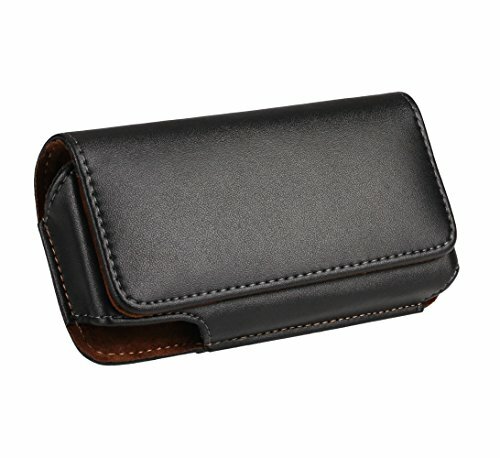 2.High quality Premium Leather material, durable for long use. 3.Microtriche inside the case ,protect your phone from scratch very well. 2nd,push the phone from the hole at the bottom corner of the case by your fingers. 3rd,another hand can take the phone out of the case easily. Fit for iPhone SE 5G 5S 5C,With Belt Clip And Belt Loop,Easy To Clip On And Off Your Belt. Hands Free And Pockets Free Convenient To Take Your Phone With You. With Magnetic Closure And Microtriche Inside The Case ,Protect Your Phone From Scratch Very Well. Loose For Bare Phone,Perfect Fit For Slim Case On (Fit With Otterbox Commuter Case / Spigen Case Or Similar Thick Case On),Not Fit For Thick Dual-Layer Defender Case on. If you have any questions about this product by Yuzihan, contact us by completing and submitting the form below. If you are looking for a specif part number, please include it with your message.